My husband was actively involved in my pregnancy (up to a point of course, and then the eating of donuts/carrying of child/aches and pains were all mine), and was also involved in the planning of said pregnancy. And now that we have August, we co-parent as much as possible. Sound too good to be true? The fact that to many people, it does, is the issue here. There are heaps of great Dads that are taking an equal share of raising a child, but do we hear about it (apart from when it’s reported in wonderment)? Nope. Throughout my pregnancy and now as a Mother (always with a capital for marketing purposes), I have at my fingertips an overwhelming amount of information, mostly in the form of Mummy blogs, ranging from the inspirational to the contrived. Some I felt resonated with me, but others were eons away from my way of thinking. But that’s cool – I have a heap to choose from. From the very beginning of this crazy child-rearing adventure, I was learning and absorbing. But I soon realised that my partner hadn’t been worded up on this stuff, nor had he even been invited to the party. See, he’s a Dad. And therefore, he’s struggled to find a blog for this role. He wanted to be able to connect and share this new experience with other like-minded Dads, preferably in the same country. But it appears that the Daddy Blog is a rare beast. When he did find a ‘group’, the promise of beer, sport or food was apparently necessary to grab and keep a male’s attention, and often overshadowed the main purpose of the group. He was dismayed, and I can’t help feeling that this is hugely patronizing to those men wanting to connect with other fathers, and this certainly didn’t fly at our house. Why do we do this? I don’t want to downplay the value of the parenting blog or forum, in whatever format it works for you – but it appears as though women have staked a claim in this area, with an almost righteous attitude about it. There are clubs, awards, societies, and everything in between for mothering blogs – in the Kidspot Voices of 2014, the parenting blogs in the Top 100 are all by women, with various forms of the word “mum” in the titles. The reality is, women are continuing the vicious circle of parenting roles by keeping men out of the loop, and I’ve found that the assumption is continually made that if something needs to be researched or checked in regards to our son, all eyes on me. Why do I need to be the one to Google, call or ask – that’s a BIG responsibility dude. Ask my husband. Get his signature on August’s immunisation form. Have him sign the boy up to a daycare waiting list. His handwriting is much nicer than mine. I’m not for a moment suggesting that just because a women is writing a blog about parenting, there isn’t a place for that. We have bits that men don’t, and these bring with them a whole range of fun stuff to LOL about (or FML about). But there should exist a more shared experience, where the joys, trials, and hilariously confusing aspects of having a child can be discussed by everyone involved. 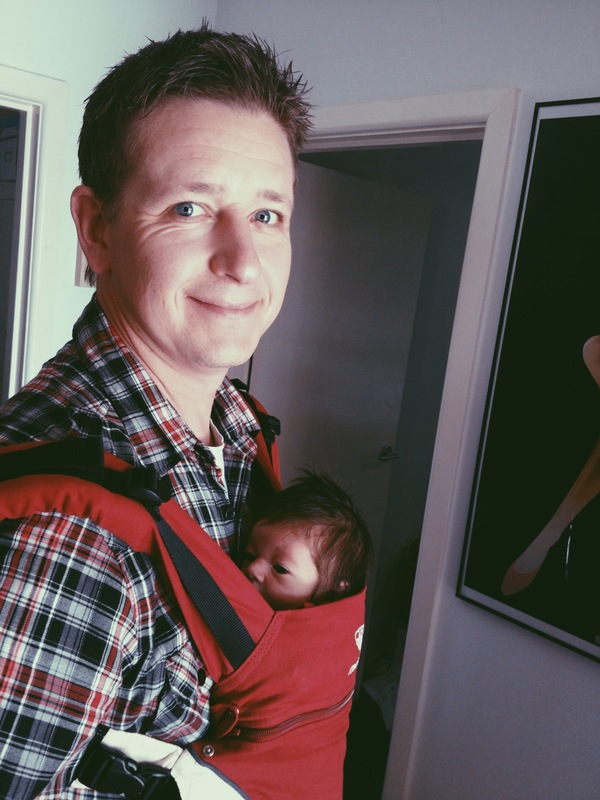 And this, in turn, will go towards both parents taking on a more equal responsibility.We know of a couple of great fathering blogs, like this one, and we love people like Brian – but we hope ours will also become somewhere for everyone to go and laugh at ourselves and our kids equally. This entry was posted in Blogging, Parenting and tagged blogs, daddy blog, mommy blog, mummy blog. Bookmark the permalink. I am in the U.S., and I’m assuming you are not (UK? Australia?). So, obviously we are in different realms. But I’m curious if the “baby daddy”/”baby momma” attitude is the prevailing way of life where you are. What I mean by this is so few parents are married these days. My daughter’s kindergarten class of twenty-two children, for example, I think there are only six of those children that have a mother and a father living under the same roof. As a matter of fact, I know in two of the six (one case being my house), the biological father and biological mother are not in the same house, but rather these children have a step-parent in the home. I think when people here “coparent” these days, at least around here, that means that baby daddy and baby momma aren’t together anymore and he gets the kids every other weekend and Wednesdays. People, speaking in general terms of course, do not have a good concept of what it means to have two, full-time parents, parenting simultaneously anymore. Or so it seems to me. Hi Mindyminx, thanks for the comment and welcome to our little blog! I think you make such a good point, and I suppose I was writing, like most bloggers, from my personal and immediate experience. Here, co-parenting is defined as I described it, when there are two parents in a household (whether that be mums or dads, or two of the same). The term is widely used here as thus. But you are right, the rate of separation in both the US and here in Australia is high and rising, so the roles are certainly changing with the living arrangements. I think the argument is still relevant though – that Dads need encouragement to be involved in their own life. Thank you for raising this is a discussion point too, it’s what we love. Absolutely. In the current culture, it is almost expected that dad is going to be an absent father it seems. Then women complain that dad doesn’t spend any time with his children (usually after they make sure by court order that he only gets every other weekend). There are scenarios where that is reversed, but primarily dads are the part-time parents. If some movement toward teaching/encouraging father’s to be dads happens, I would like to think that we would have lower statistics on part-time dads.